I’m not listing any content warnings because I didn’t catch any. Not that I’m doubting there are some, just that I was so. bored. that I didn’t make any mental note of them like I usually do. And, I’m not joking when I say that I was SO. BORED. I got 15 pages away from 200 and nothing had happened. There was stuff going on, but it was just a flat retelling of Frankenstein while I thought that it was going to maybe present more to the table, especially from this new perspective. I love Frankenstein. It’s a great gothic story, even if it drags. But, this book felt like it was so much following the same story and hinting at something with Victor — aka, the creator of the monster — without anything going on. I started spacing out who characters were, which got me lost since the story is mainly about the characters. And the characters weren’t interesting. I found Elizabeth boring. Justine was just one dimensional. Victor was never on the page despite the story being focused around him. Henry who? And who were the little kids they were supposedly taking care of when they were at the house? Comparing this to And I Darken, I think that this is just White’s style as an author. A lot of exposition leading up to no real payoff. I mean, I was nearly 100 pages from the end and there was nothing interesting going on. I guess that White isn’t my kind of author and, from now on, I’ll likely be staying far away despite the hype. Two different books had the same problem for me. Safe to say I’m off this fan train. What’s your favorite Frankenstein retelling? I think it’s so ingrained in the literature culture that we know it, you know? But, thank you! This book is my favorite Frankenstein retelling for sure. XD Sorry you didn’t like it! 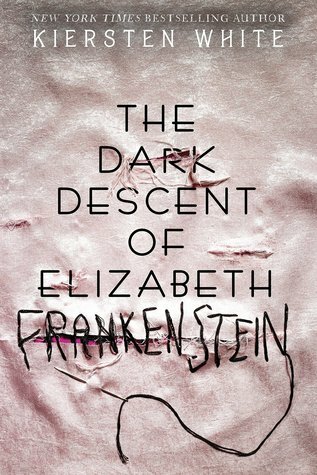 I definitely feel this way about And I Darken, I can’t get into that series at all, but reading this back-to-back with the original Frankenstein was an amazing experience for me. Made me look at the original in a totally new way. I’m glad you enjoyed it! I wish I did. It just felt like it wasn’t even related to the original. But, usually, if I don’t like one book by an author, I won’t like any of their works. 61% in and nothing happening? Yikes! !